An IoT home, or smart home, uses internet connected devices, such as smart phones and tablets to allow remote management and monitoring of connected systems and appliances. 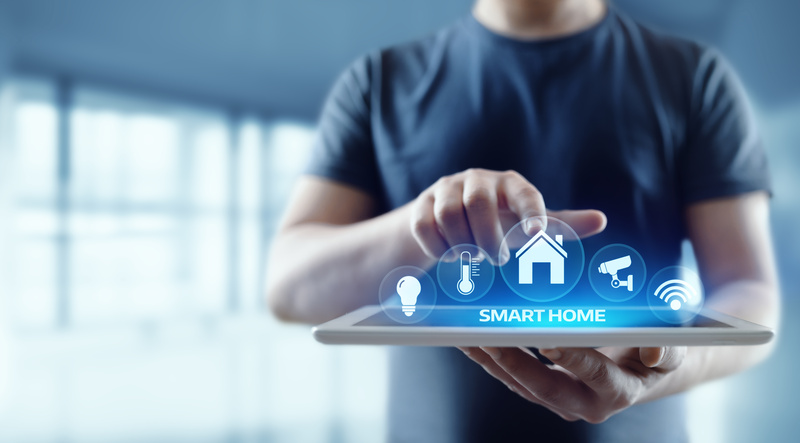 The number of devices that can be connected to a smart home is rapidly growing and homeowners can now hook up almost anything electronic to a home automation system. For many, this not only allows security but also comfort, convenience and even energy efficiency. Lighting can be connected for remote adjustment and optimal comfort, while multimedia systems and speakers can be activated from a phone app. Security systems can be armed remotely, video cameras controlled from a different location, and thermostats turned up or down with just a smart phone. Using smart home technology can help your family become more energy efficient by lowering energy bills and your carbon footprint. Smart sensors in your home’s lighting can cut out any unnecessary usage of electricity and smart power strips are able to detect when someone is in the room and can turn off any energy draining devices. Things like smart water systems and smart irrigation systems can cut down on water waste. Smart thermostats can help you change how you use your heating or AC by allowing you to set usage times while you’re away from home, or if you forget to pre-set them for a certain day, you can do it on the fly. With just a few taps on your smart device and you can activate your thermostat or even put it on a schedule. To add extra comfort to your day with smart home systems, you can set the perfect temperature for bedtime and have it change automatically for the morning when it’s time to get up or for the evening after a hard day’s work. Home automation systems can now be integrated with AC and heating systems, lights and even your window shades. These “smart” devices can make your day to day life easier and give you time to focus on something else. Smart home security systems can allow monitoring of everything that happens in and around your home, no matter where you are. With this in place you can have access to 24/7 monitoring, not only when you remember to turn on the alarm. No more worrying if you locked your door or left a window open. IoT door locks can alert your personal device when a door is opened if you aren’t on the property when your children come home from school and even allow you to give access to your home to individuals remotely if necessary. Some families like to use smart doorbells that include video cameras and microphones that stream straight to your phone to monitor activity while they are away, or even while at home. This can come in handy when checking to make sure that packages are still where they need to be until someone can retrieve them. Smart technologies like smart alarms can also detect smoke and carbon monoxide in your home and alert you via mobile device. Others may value the reliability and secure properties of a smart security system to monitor other properties and vacation homes from a distance! Multiple devices have the ability to inform a homeowner in case the power goes off from a storm and many even allow for a gardener or housekeeper to have their own codes to access the home and property. There are hundreds of brands, technology and systems that can be categorized as an IoT home device. Ensure you are taking into consideration what best suits your family’s protection, convenience and security needs. These home devices have greatly impacted many families lives in the growing era of technology. Will your family give it a try? If you’re ready for the convenience and security of an IoT home, our team can help out with any residential electrical service needs that are needed for installation!